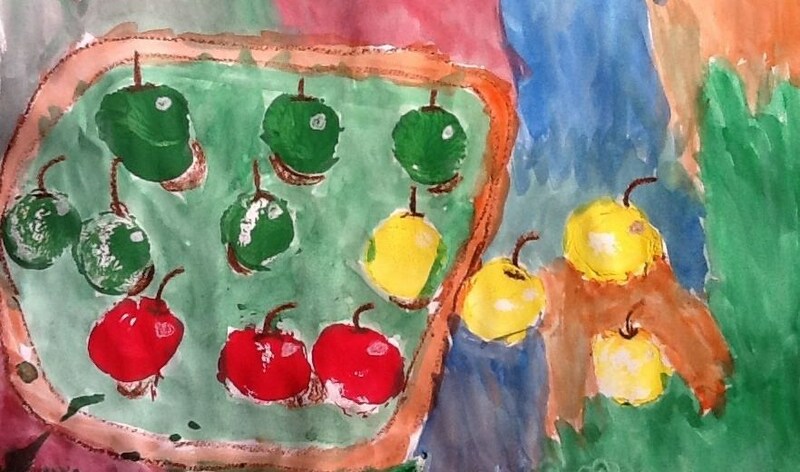 I did this lesson with my Grade 1 classes. They used a small piece of Styrofoam printing plate to draw the flowers then cut them out and printed them in different colors. They could add stems and leaves or a vase if they chose to. 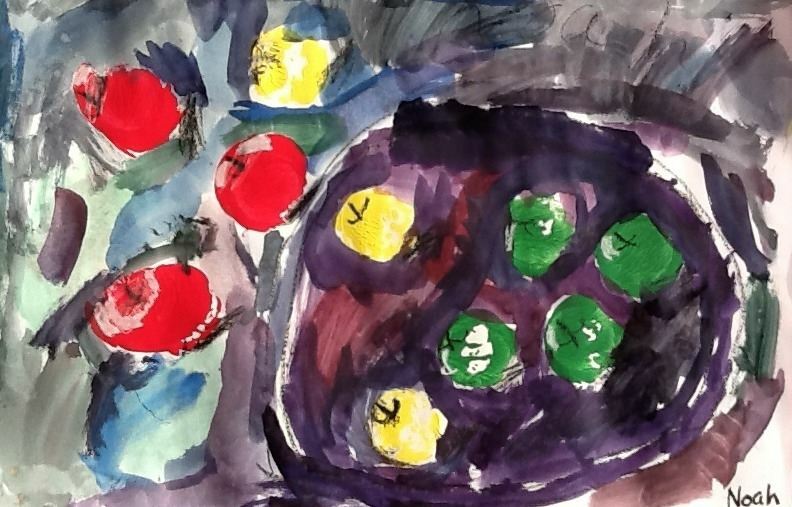 Grade 2 students did a quick water color background and added seaweed and sand. They drew fish onto foam printing plates then printed the fish onto their backgrounds. I love the art of Brian Wildsmith and thought it would be a great inspiration for a kindergarten lesson. We used painted paper for the birds. 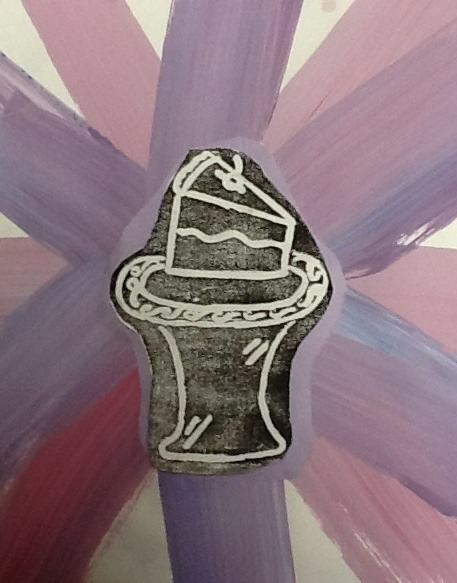 I showed the students how to draw an ice cream cone on the back of the painted paper for the bird body. They then cut wings, heads and beaks from the scraps. They glued the birds onto a background of grass then used found objects to print the flowers. 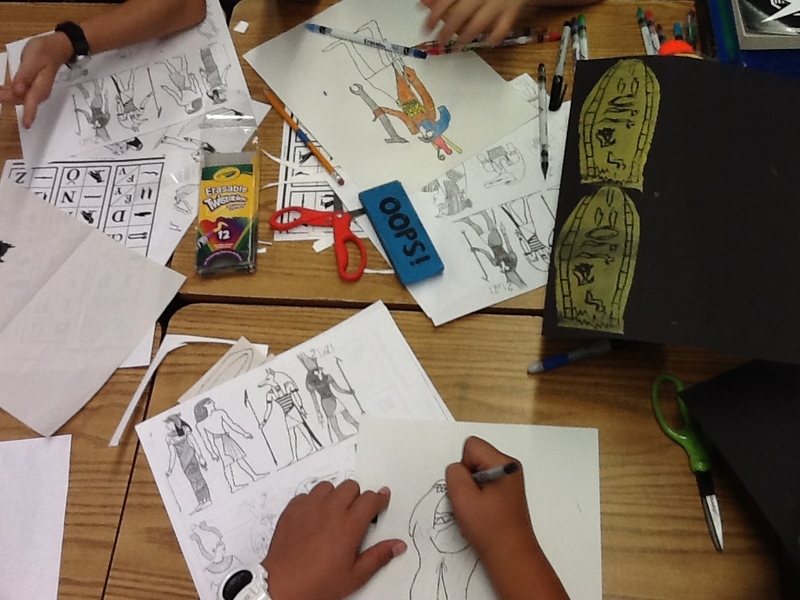 The students have often done cartouches with their name in hieroglyphics. 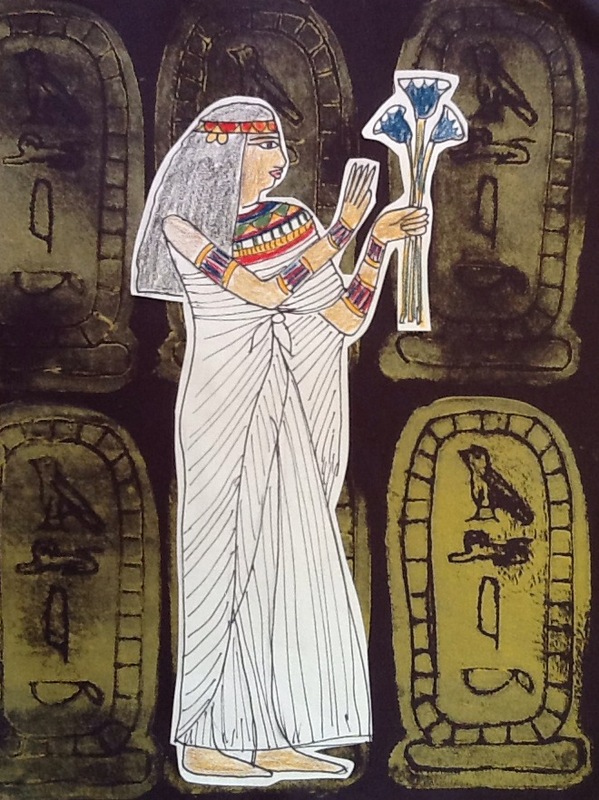 We just combined the Egyptian drawings with the print making. 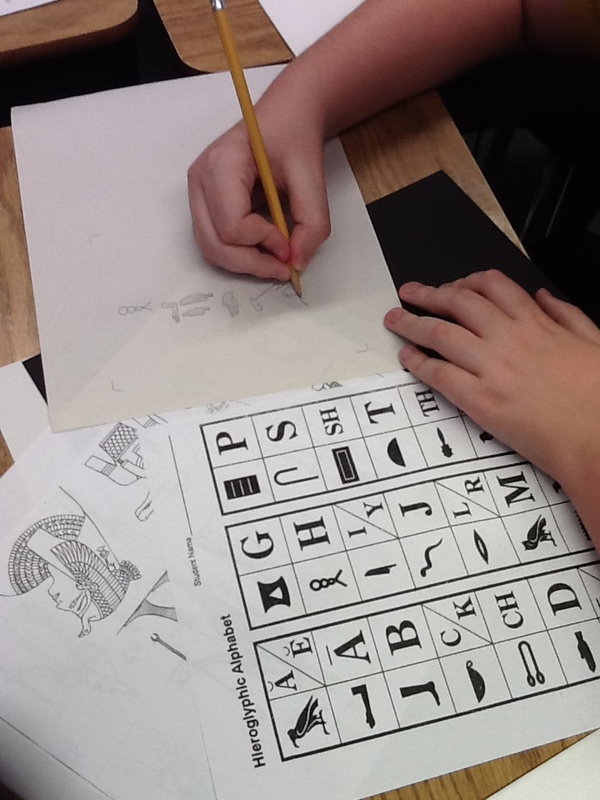 First, the students drew their hieroglyphic name on newsprint. They traced over it with black marker so it would show through the other side. Once they had that done, they turned the paper over and traced the hieroglyphics onto a styrofoam printing plate. 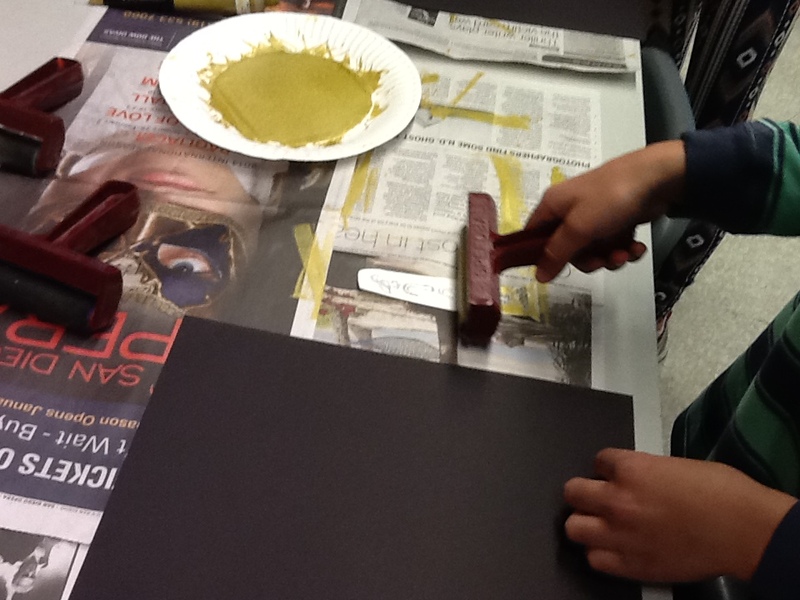 I set up a printing station at the back of the classroom and students took turns printing their cartouche with gold ink onto black paper. 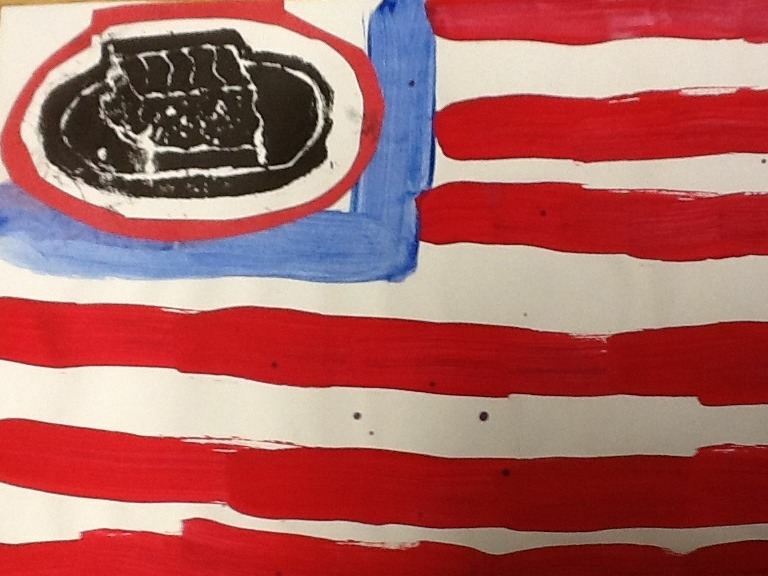 Once finished with the cartouche plates, the students began their drawing. We talked about the cube system used by tomb artists so that each drawing was the same. 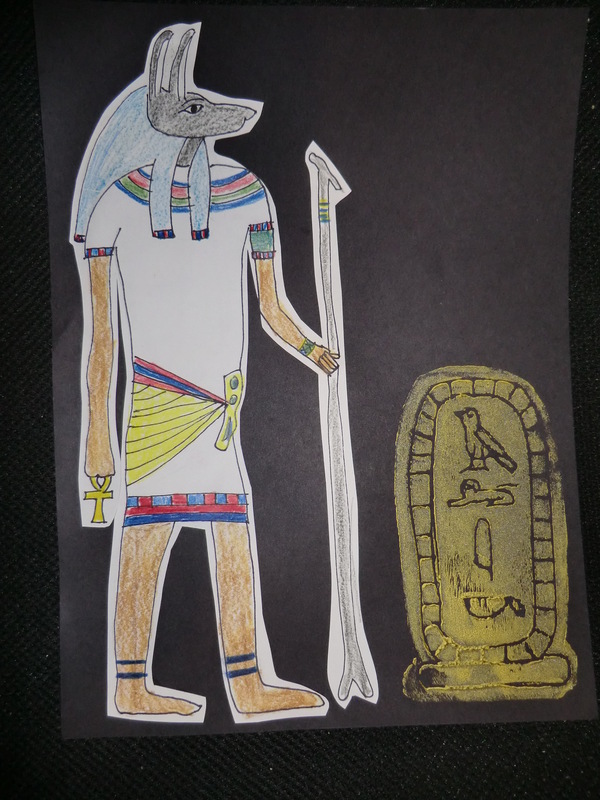 We looked at examples of tomb art so they could see the way in which the gods, people and pharaohs were depicted. 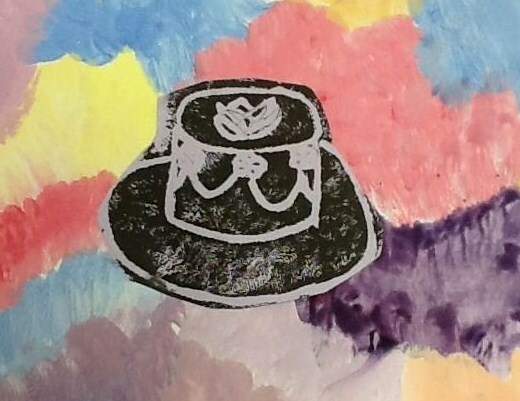 We also talked about the colors that were used and that all things had meaning-even color. When they finished their drawings, they cut them out and glued them onto the cartouche pages. 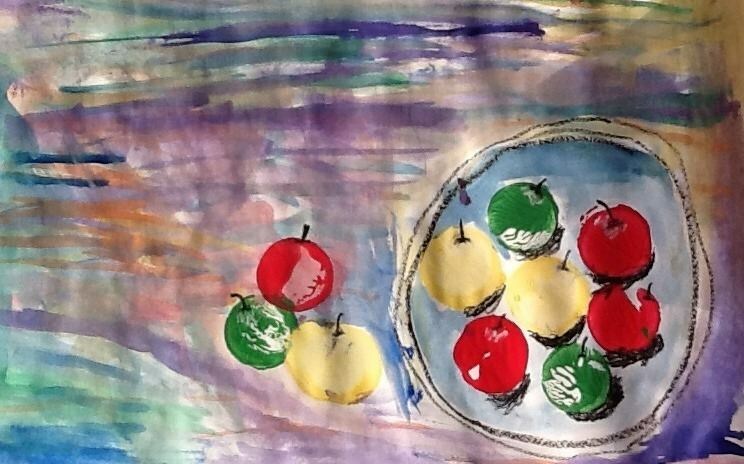 Thiebaud is always a fun artist to study with his images of dessert. 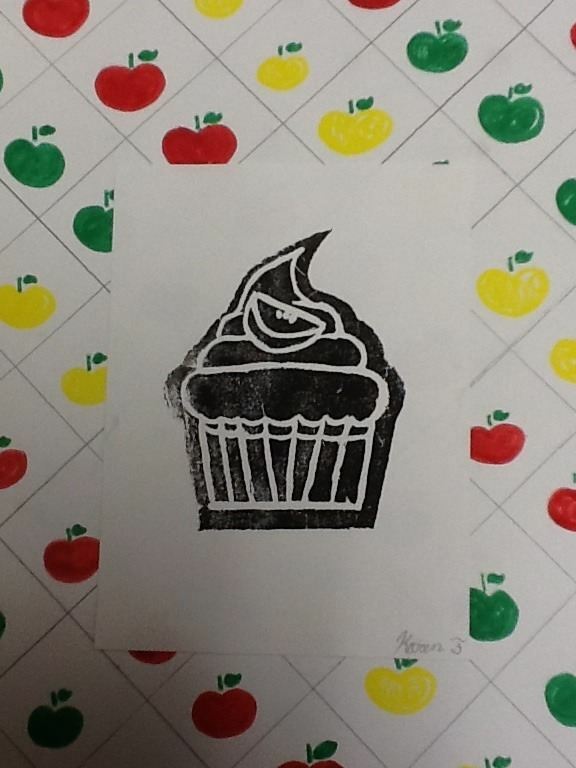 For this lesson, students drew into presto-foam to create their dessert image. They used black ink and once dry, cut them out and placed them on a background of their choice. I love the different colors and images they used for the backgrounds. The flag is a favorite. The student told me it was called “The United States of Dessert”.